I took advantage of a bonus day off to hike to the top of Mission Peak. We had previously done a long hike from Ed R. Levin County Park to the top of Monument Peak, but this a shorter – but very steep! 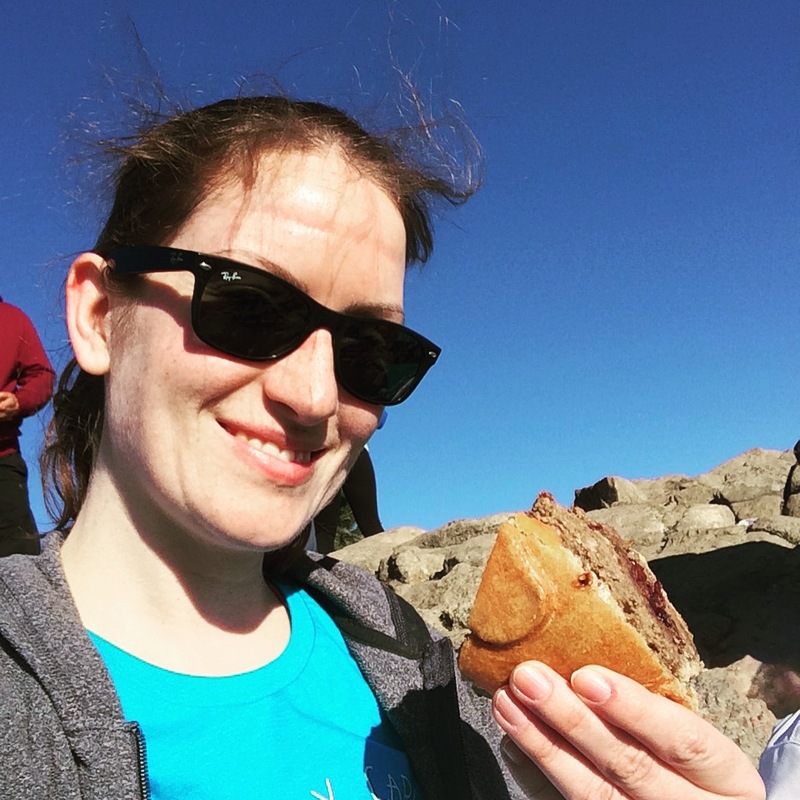 – hike to the top of Mission Peak. This hike is described in it’s entirety on the Bay Area Hiker website here. 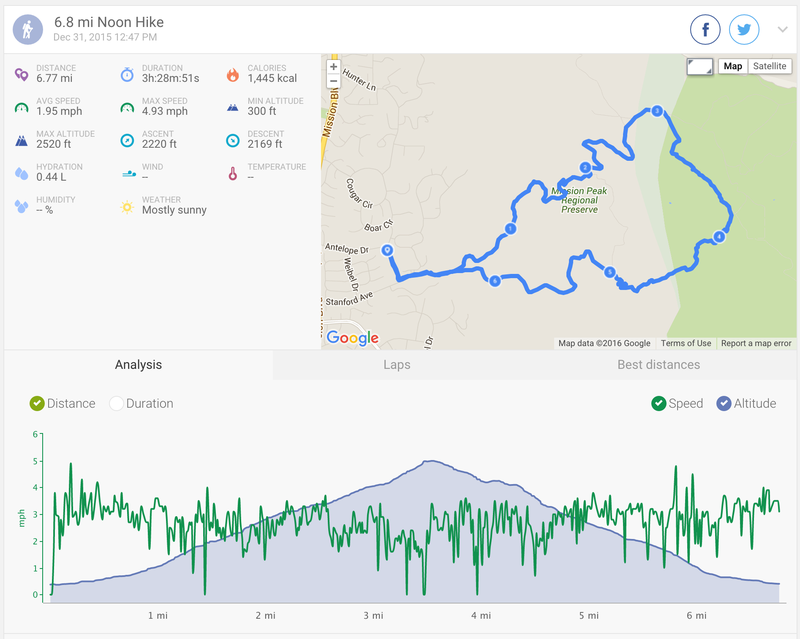 Yup, just over 2000ft elevation gain over 3 miles, then back down again. You can find a trail map here. The view is pretty wonderful. 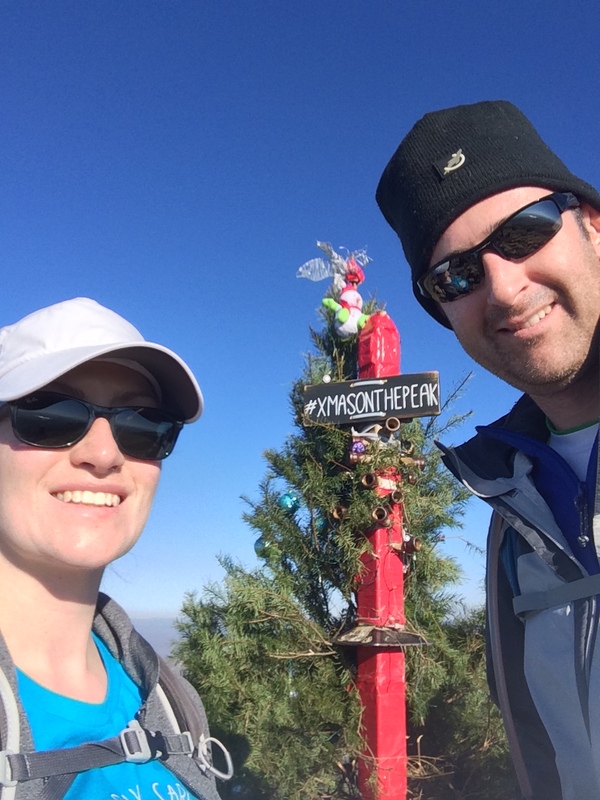 We took some Christmas dinner leftovers with us – have pie, will hike. The weather was pretty great for it, nice and cool, but sunny and clear. 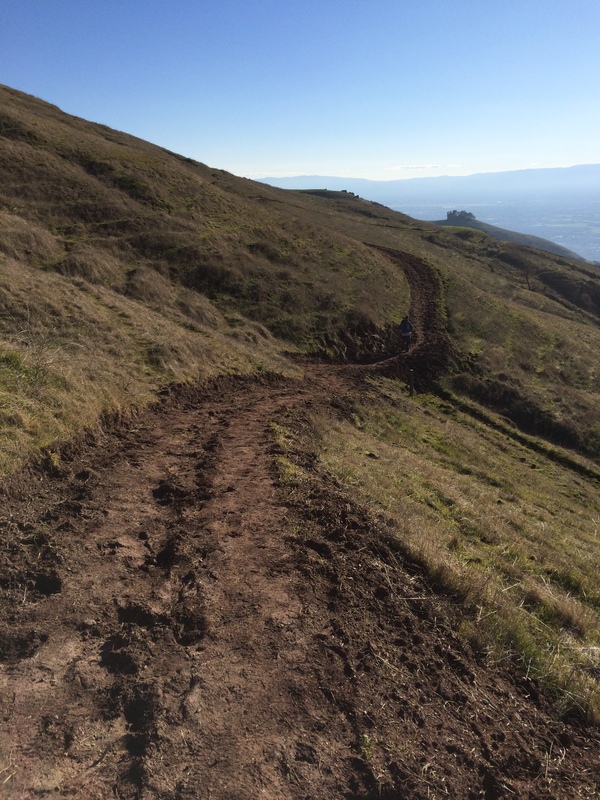 The main trail was in good condition, but Horse Heaven was a little muddy…. 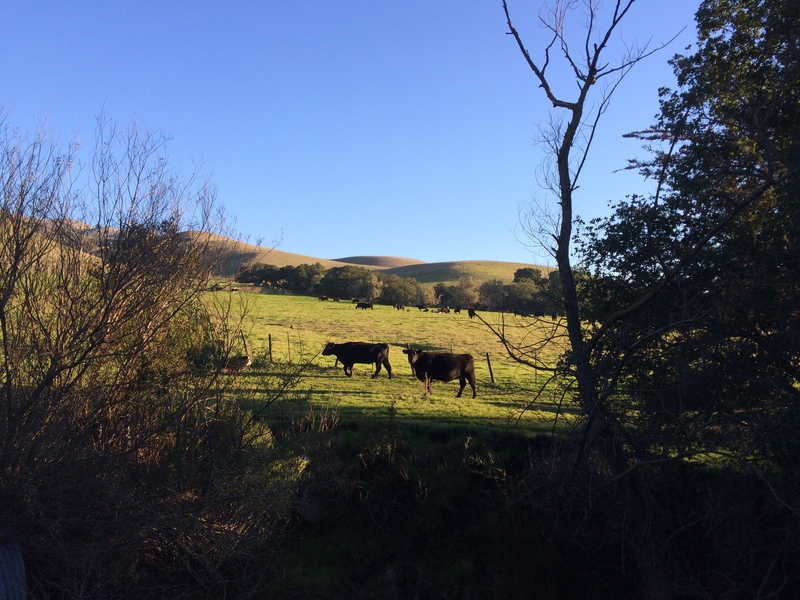 …and we manage to escape being maimed by the cows.